Here’s a fantastic photo of a group of galaxies playing gravitational tug of war located a staggering 320 million light-years away from Earth in the constellation Piscis Austrinus. 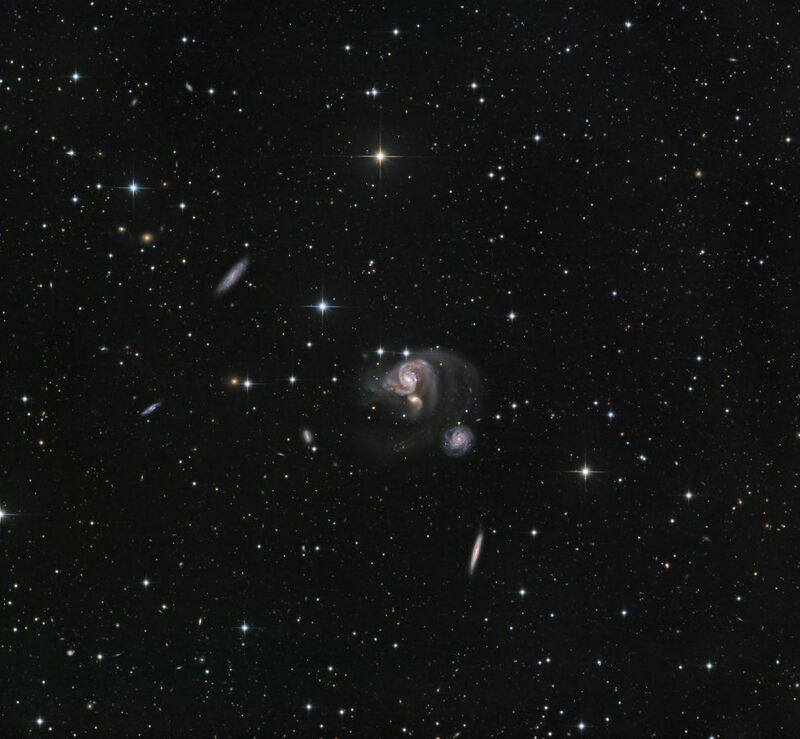 These group of galaxies are what as known as Hickson Compact Group 91 or HCG 91. They are named so because a Canadian astronomer named Paul Hickson discovered 100 compact groups of galaxies. The tails of these galaxies are actually 100,000 light-years long! Because of their “close” interaction the galaxies are triggering furious star formations. On a cosmic timescale these galaxies will merge together to form one larger galaxy which is how our very own Milky Way Galaxy formed. What is also impressive about this image is that it captures fainter galaxy interactions that are 2 billion light years away from Earth!